Combine cheese, crushed crackers, and 1 tablespoon melted butter. Set aside. In a nonstick skillet, cook onion and celery in 1 tablespoon butter until tender. Stir in peas and cook 2-3 minutes. 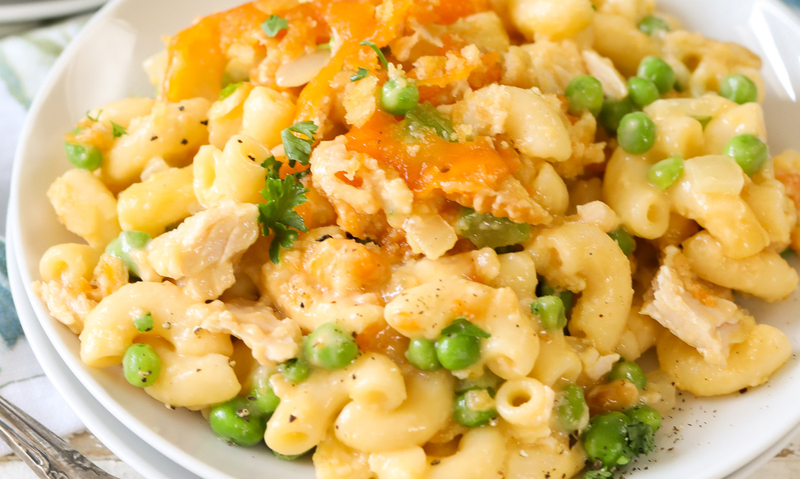 Gently stir in Bob Evans Macaroni and Cheese and tuna. Transfer mixture to a greased 8x8 baking dish. Top with crumb topping and bake for 30 minutes or until heated through. 2 Combine cheese, crushed crackers, and 1 tablespoon melted butter. Set aside. 3 In a nonstick skillet, cook onion and celery in 1 tablespoon butter until tender. 4 Stir in peas and cook 2-3 minutes. 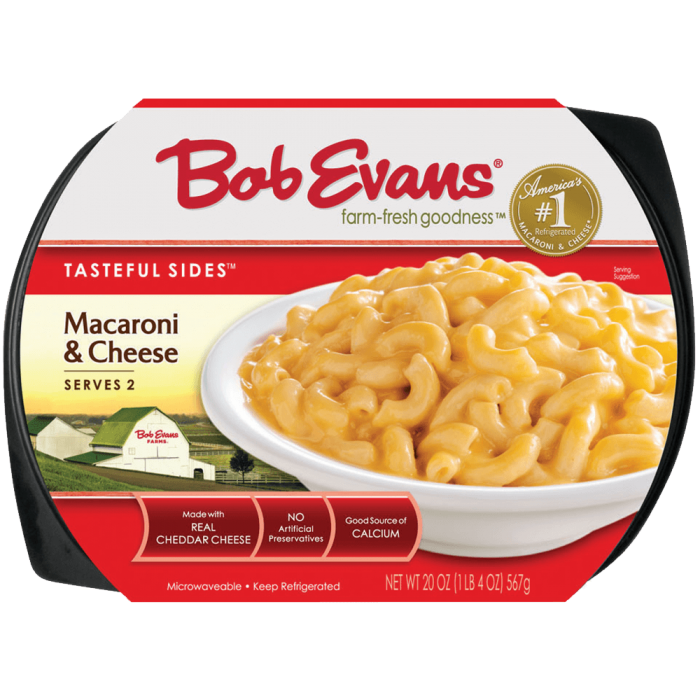 5 Gently stir in Bob Evans Macaroni and Cheese and tuna. 6 Transfer mixture to a greased 8x8 baking dish. 7 Top with crumb topping and bake for 30 minutes or until heated through.